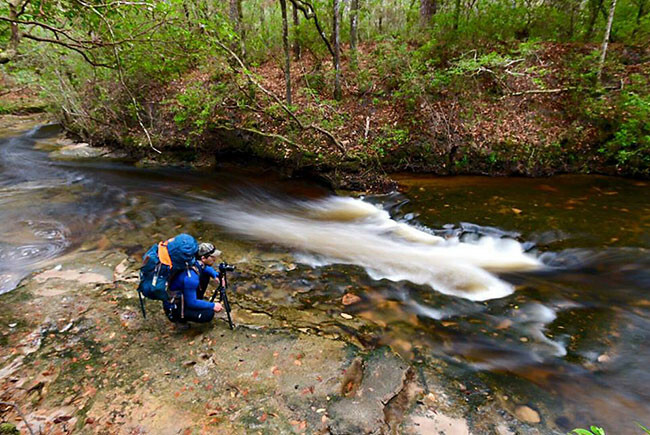 Joe Guthrie photographs Ecofina Creek. Crossing Econfina Creek on the Florida National Scenic Trail, day 46 of the Florida Wildlife Corridor Expedition. Carlton Ward and Lisa Baylor near the end of a three day hike through Econfina Creek WMA. 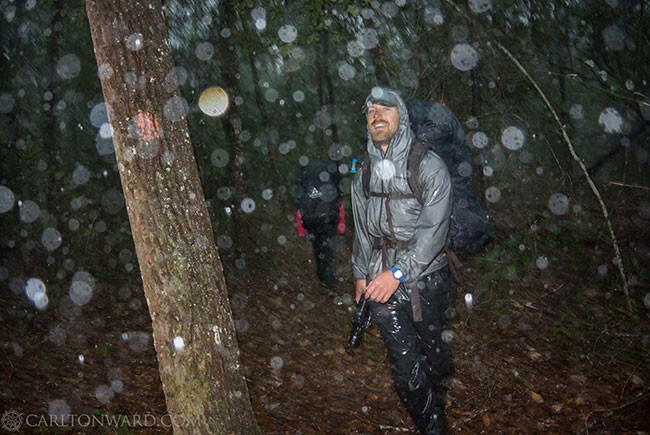 Joe Guthrie and the Expedition team endured driving rains and cold temperatures while backpacking in Econfina Creek Water Management Area. 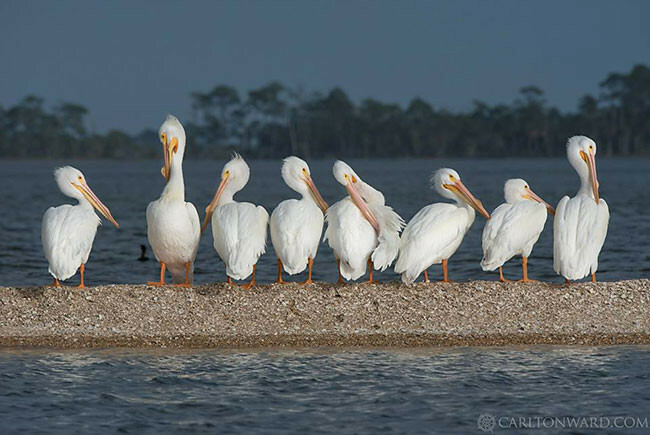 American White Pelicans at St. Vincent Sound, near the Apalachicola River delta with the Gulf of Mexico. 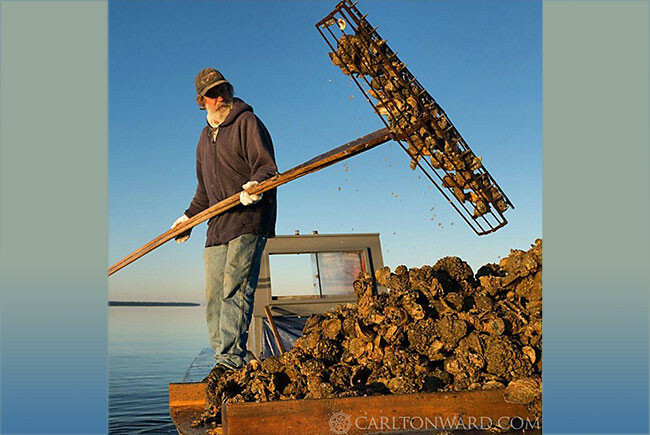 Kendall Schoelles, third generation Apalachicola oysterman, tongs for oysters in the Apalachicola Bay. 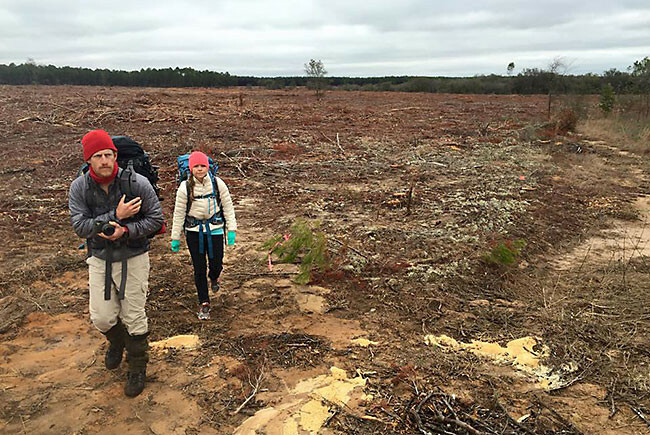 During week 7, the Florida Wildlife Corridor Expedition team left the Apalachicola River and began backpacking on the Florida Trail in the Econfina Creek Water Management Area. In spite of cold and rain, the team covered a lot of ground and took stunning photos of Florida wildlife and wilderness. They also met with officials from the Northwest Florida Water Management District, who toured the team through an extensive springs restoration project and walking trail system at Williford Spring, which feeds Econfina Creek. 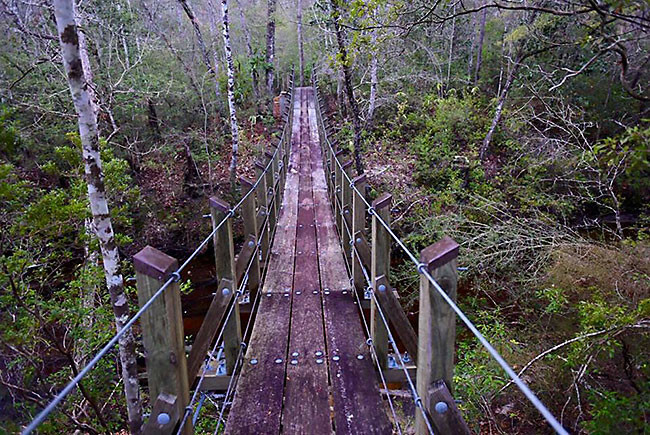 Joe Guthrie photographs Ecofina Creek on day 46 of the #Glades2Gulf Expedition. We have begun 2 days of remote backpacking on the Florida Trail beside this beautiful waterway. The recent clearcut (in the photo above) Econfina Creek WMA is a site inherited by Northwest Florida Water Management District as an industrial sand pine monoculture. After removal and sale of the sand pines the site will be replanted with native longleaf pines. American White Pelicans are one of the largest birds in North America with wing spans reaching 10 feet across. They migrate to Florida for winters from breeding grounds as far away as northern Canada. This flock was photographed on day 44 of the #Glades2Gulf Expedition in St. Vincent Sound, near the Apalachicola River delta with the Gulf of Mexico. Kendall Schoelles, third generation Apalachicola oysterman, met the Expedition team on the bay on day 44 of the #Glades2Gulf Expedition. His livlihood and heritage depend on sufficient quality and quantity of freshwater flowing down the Apalachicola River from Georgia. 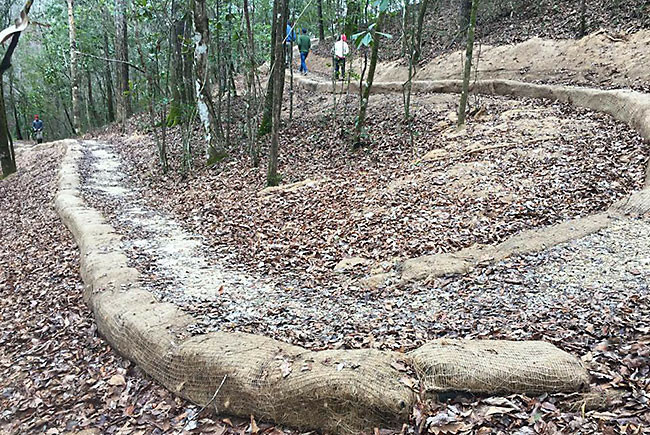 Atlanta has overdrawn river waters in recent years. Like his father and his grandfather before him, Kendall Schoelles tongs for oysters in the Apalachicola Bay, which was recently providing more then 10 percent of oysters for the United States. But now the fishery is struggling from over harvesting and environmental challenges including deletion of river water that originates near Atlanta. An excerpt from Kent Wimmer's Defenders of Wildlife Blog is below. Wimmer helped the Expedition team plan their route. Though the landscape has become very fragmented, it’s still possible to keep a statewide network of connected habitat. Defenders and the University of Florida’s Center for Landscape Conservation Planning are identifying lands and prioritizing opportunities to protect and restore missing links in the wildlife corridor in Northwest Florida. With funding available from the passage of the Florida Water and Land Conservation constitutional amendment and RESTORE oil-spill fines, Florida has the resources to make real conservation progress. And initiatives like the Wildlife Corridor Expedition are illustrating just what is at stake. Finally, here's an upcoming Trail Mixer the public is invited to - mark your calendar -- come meet the Team! Join the Florida Wildlife Corridor Expedition team and the E.O Wilson Biophilia Center for a fun, kid-friendly "Black Bear Affair"! Tour the interactive nature center, take a guided hike, and join in on bear themed arts and crafts, such as casting bear tracks! Time:10:00 a.m. - 3:00 p.m.
*Please note: The E.O Wilson Biophilia Center charges a general admission entrance fee: $8 Adults, $5 Children, 2 and under are free.